Another one of those “wow” items and what I consider to be one of the most beautiful patterns produced for any steamship line. 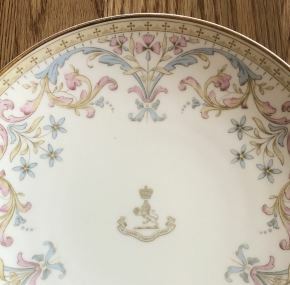 A luncheon plate in a rare pattern used on board Cunarders in the pre-World War I period. 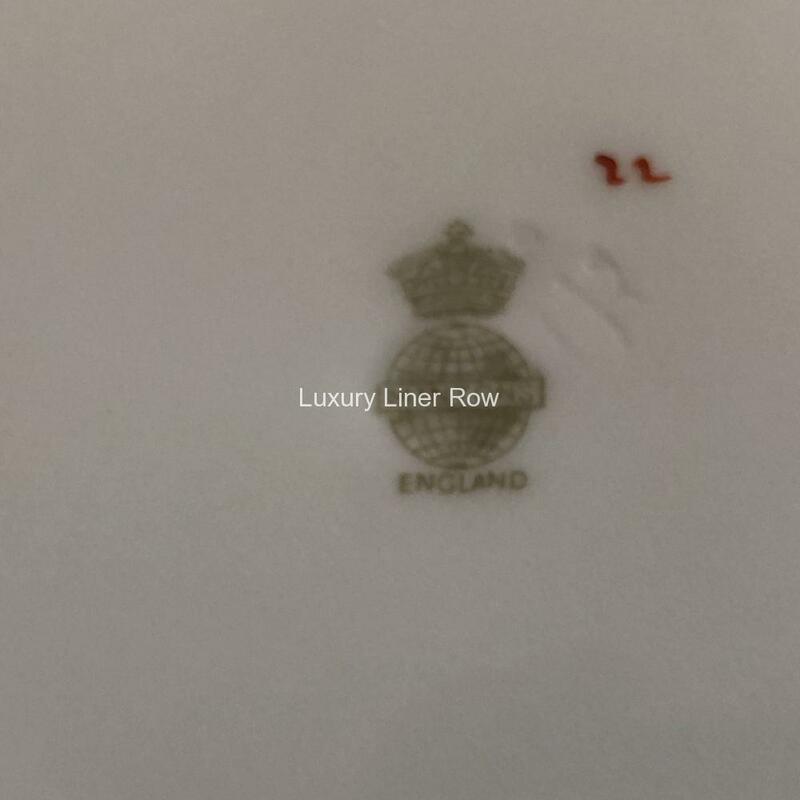 Very little is known about this pattern, and because of there have been some speculation on exactly what this pattern was used for. 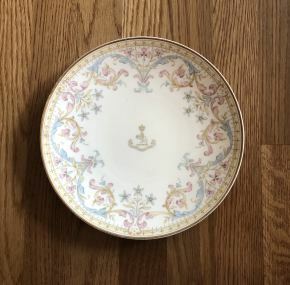 There is only one known [hoto of this pattern on board a Cunard ship, and that was taken in a pantry on board the Mauretania of 1907. Only a few types of pieces have been seen in this pattern. Among them are luncheon plates, side plates, a tea cup and saucer, and a snack tray and saucer. The most likely use for this pattern on board was as a tea service. Extremely difficult to find. Excellent condition with a some utensil marks. Measures about 9.25″ across.